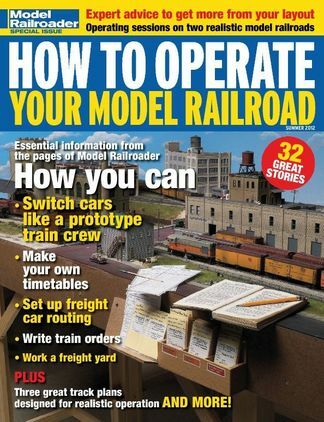 How to Operate Your Model Railroad gives you 34 operator-focused stories from the last 10 years of Model Railroader magazine. You’ll learn to route your freight cars, develop realistic freight yard operation, replicate passenger terminal operations (including a great track plan!) and understand the roles of the engineer, dispatcher and yardmaster. Be the first person to tell us what you think about How to Operate Your Model Railroad and you'll save $5 on your next purchase!